Rapidly spreading global trade protectionism and South Korea's growing household debt are major risks now facing country's financial system, a survey showed Sunday. 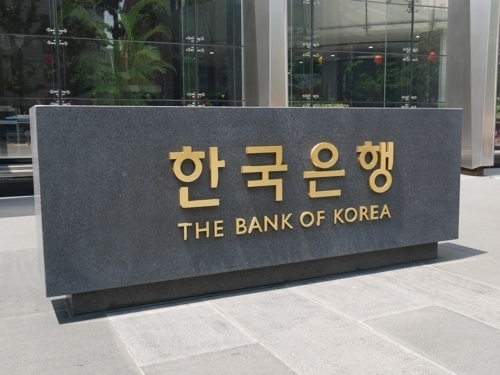 According to the poll of 72 market watchers of financial officials, researchers and investors conducted by the Bank of Korea, 76 percent said intensifying trade pressure and global protectionism was the biggest problem facing the country. The rate was 26 percent in a survey held in November last year. Asia's fourth-largest economy is one of the most vulnerable countries in the world as it depends largely on exports and overseas markets to generate growth. Washington has imposed a series of import restrictive measures on South Korean steel, washing machines and other products, while the Korea-US free trade agreement, dubbed KORUS, was renegotiated earlier this year in a way that favors the US side. Household debt, which surpassed 1,450 trillion won ($1.36 trillion) at the end of last year, was picked by 74 percent of the respondents as a serious threat to the economy. The country's household debt has been on a steady rise on the back of a property market boom that has been fanned by the government for years in an attempt to bolster the housing market and prop up growth. But the Seoul government has been moving to cool down real estate speculation and slow the growth of household lending so as to preempt potential fallout. Also, the BOK raised the key rate in November last year for the first time in 6 1/2 years. The survey also indicated monetary normalization of major economies and uncertainties in the local real estate market were at the top of the list of financial systemic risks. However, North Korean issues were cited by only 38 percent of the respondents, sharply down from 82 percent six months earlier, as geopolitical tensions on the Korean Peninsula eased thanks to ongoing peace talks among the two Koreas and the United States.